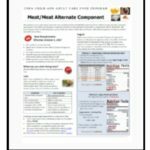 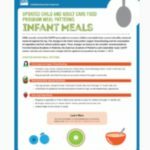 These changes are based on the Dietary Guidelines for Americans, science-based recommendations made by the National Academy of Medicine (formerly the Institute of Medicine of the National Academies), cost and practical considerations, and stakeholder's input. 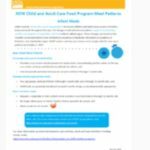 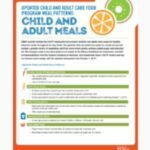 This is the first major revision of the Child and Adult Care Food Program meal patterns since the Program's inception in 1968. 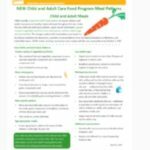 These improvements to the meals served in the Child & Adult Care Food Program are expected to safeguard the health of young children by ensuring healthy eating habits are developed early, and improve the wellness of adult participants.